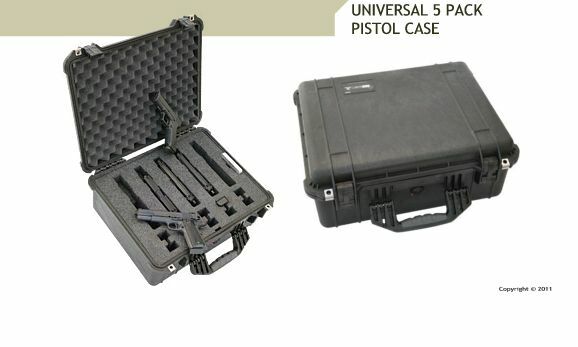 This field-tested hard carrying case can store up to five handguns and 10 magazines in custom-cut Polyethylene foam cavities. The gun cavity dimensions are 9.23”L x 4.75”H and welcome a wide range of name-brands: Colt, Sig Sauer, Smith & Wesson, Glock, H&K, XD, and STI International. Caliber sizes include: 9mm (or .380mm), 10mm, .40, .45, .38 Special, .357 Magnum and .44 Magnum. Foam plugs keep smaller handguns snug. There is also one cutout for optional desiccant canister (silica gel) to keep the inside of the case dry. 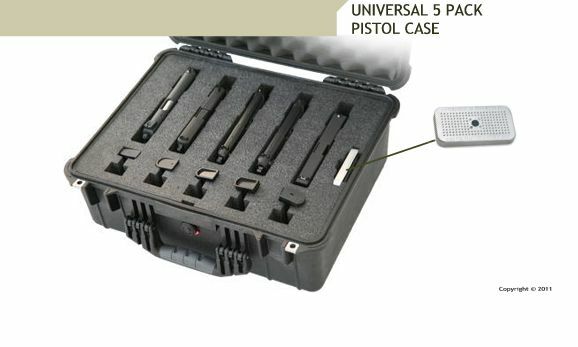 Portable Deployment Motorola Carrying Case accommodates six Motorola XTS-5000 radios, six spare batteries, and a six-bay charger unit. 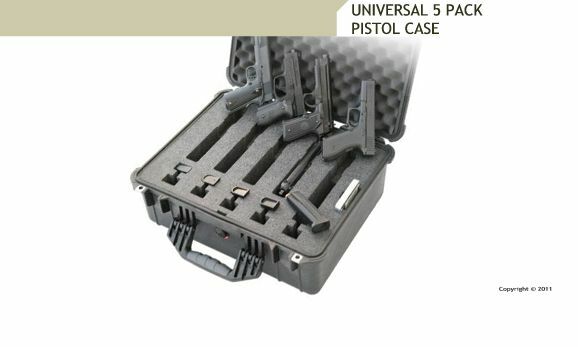 6 Pack Universal Gun Case Safeguards and protects handguns for Collectors, Sportsmen and Law Enforcers.